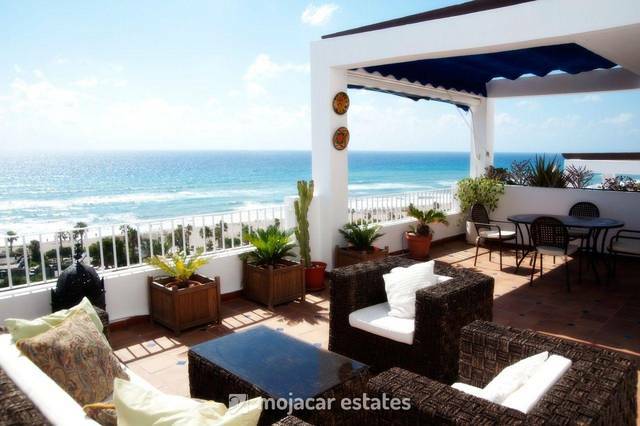 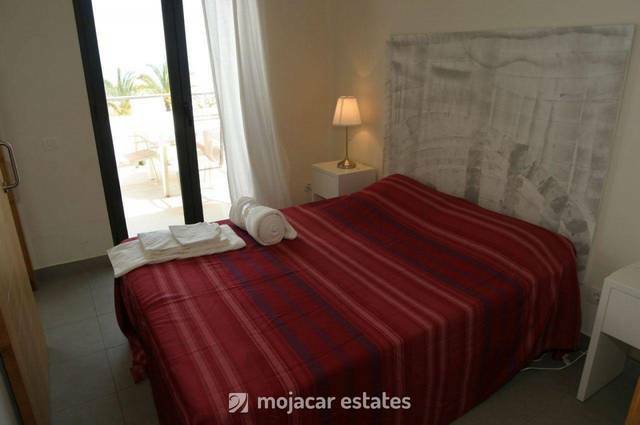 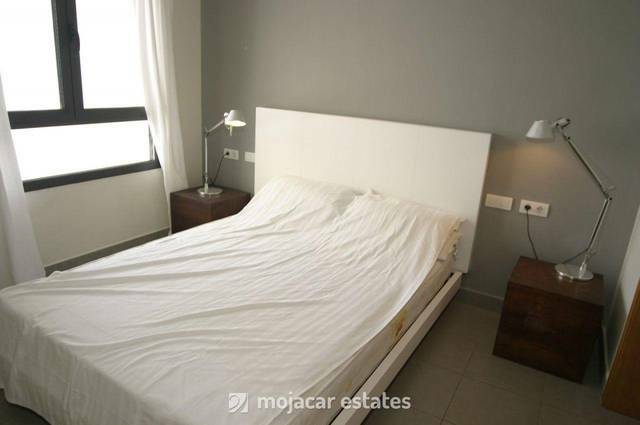 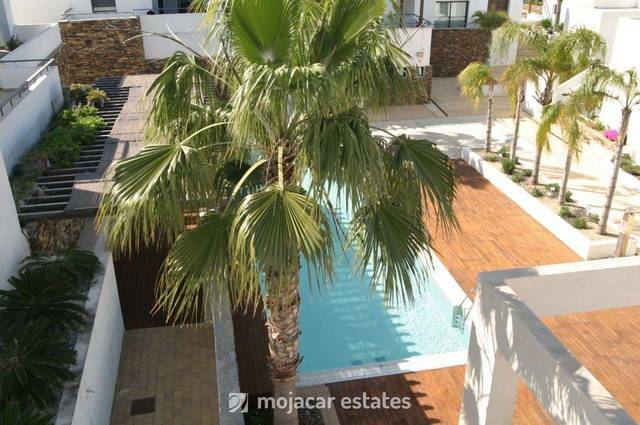 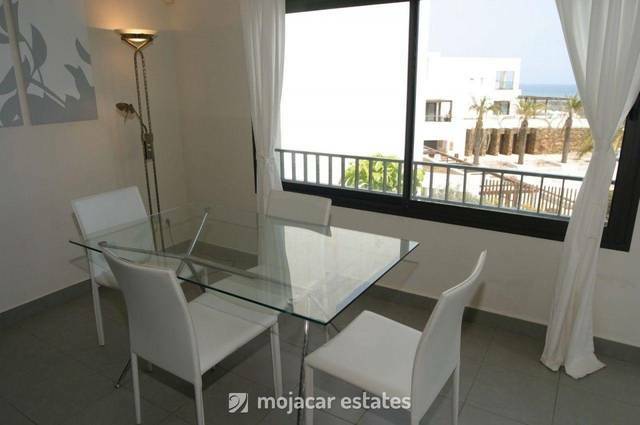 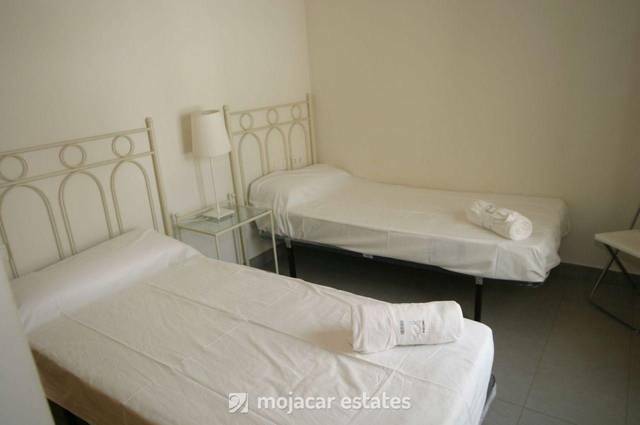 Casa Acuario- Lovely 3 bedroom apartment in Playa Macenas at the south end of Mojacar Playa with lovely coast and sea views. 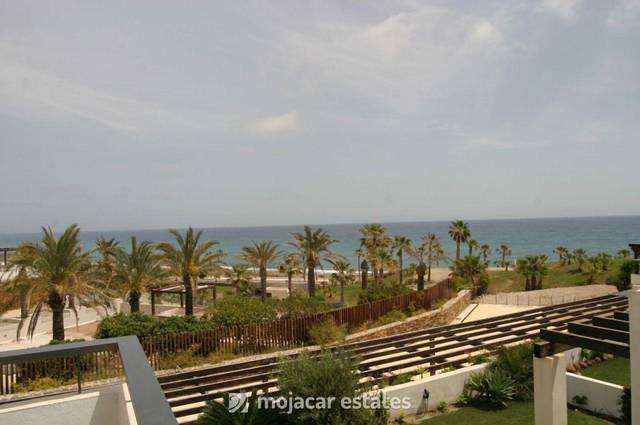 3 community swimming pools and direct access to beach. 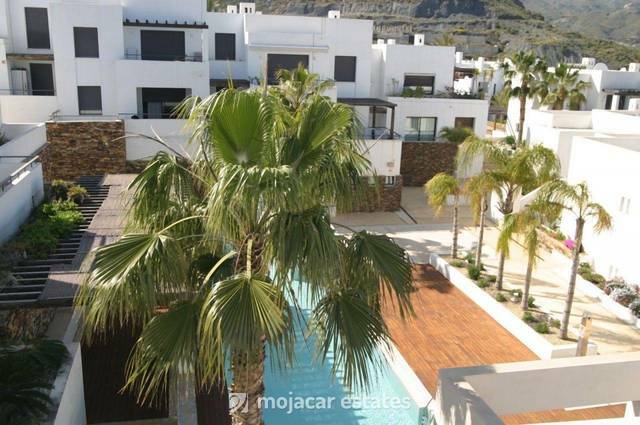 On the above Google map click on enlarge map and the exact location of the property in Mojacar is marked with the blue pin. 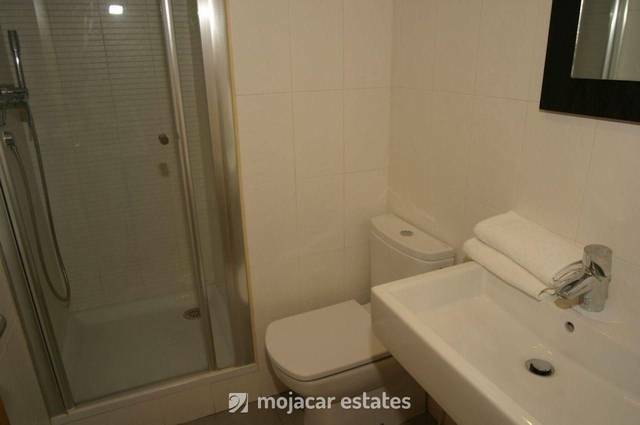 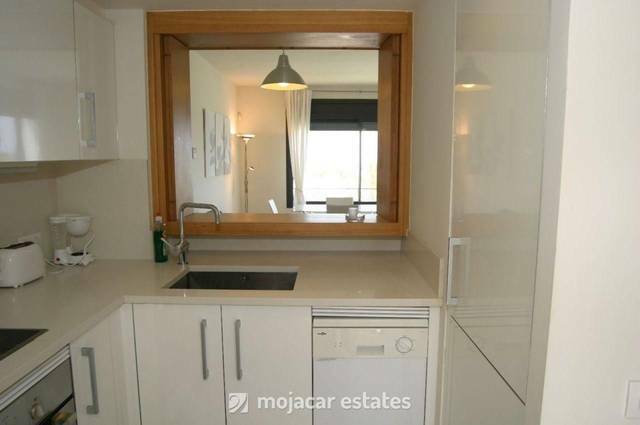 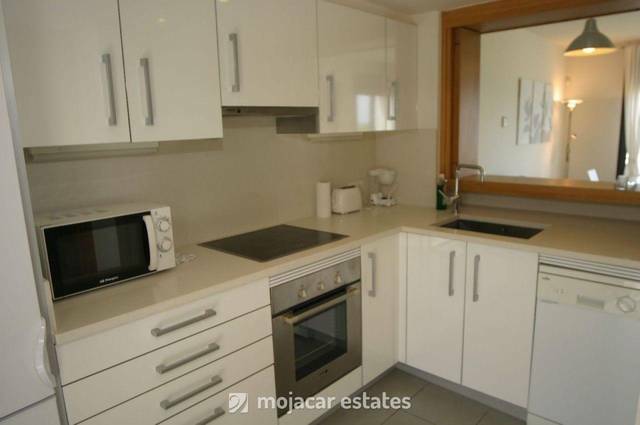 This is a top floor apartment and access is via external staircase, private covered parking below the house. 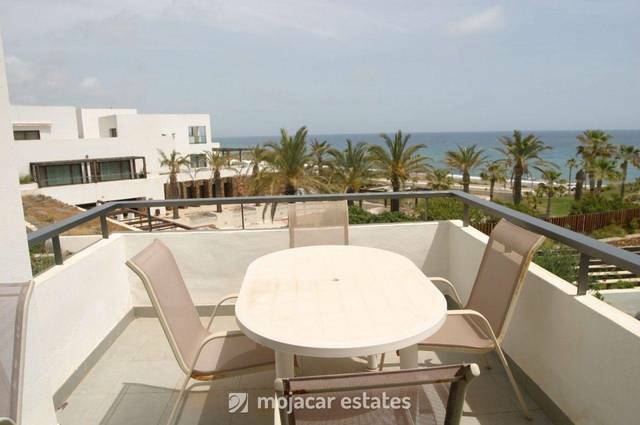 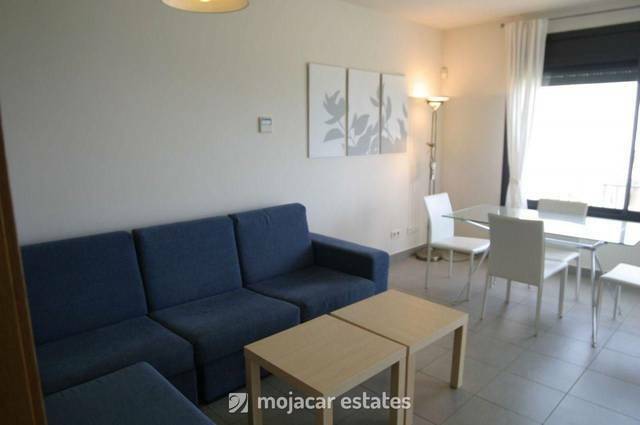 Terrace with table and chairs, lounge-diner also with sea views, fully equipped kitchen, 2 bathrooms and 3 bedrooms. 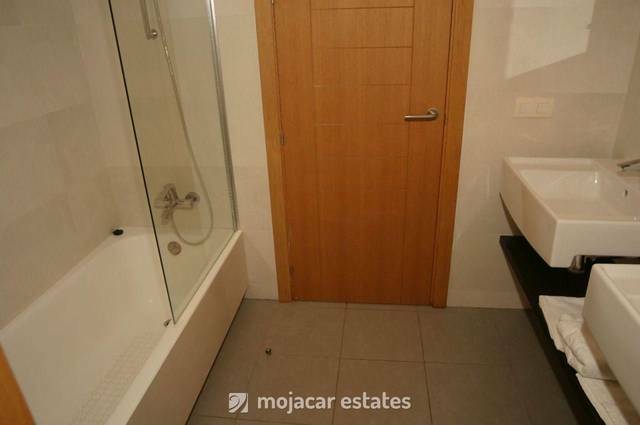 Master bedroom with double bed and en suite bathroom, 2nd bedroom with double bed, shower room and 3rd bedroom with 2 single beds. 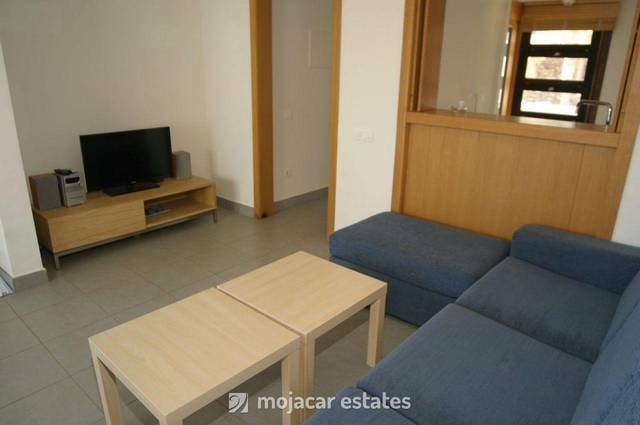 Centralised air conditioning and Wi Fi.